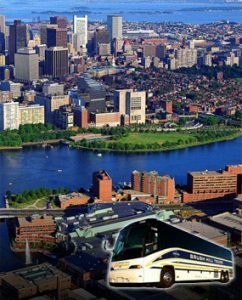 We are the only sightseeing motor coach tour operator licensed in the city of Boston. Welcome to Boston! Choose from a wide variety of Boston tours and New England sightseeing options. We offer full and half day regularly scheduled sightseeing tours of Boston and New England; featuring Boston & Cambridge, Lexington & Concord, Cape Cod, Salem & Plymouth, Maine Seacoast, Newport, RI and Fall Foliage tours..